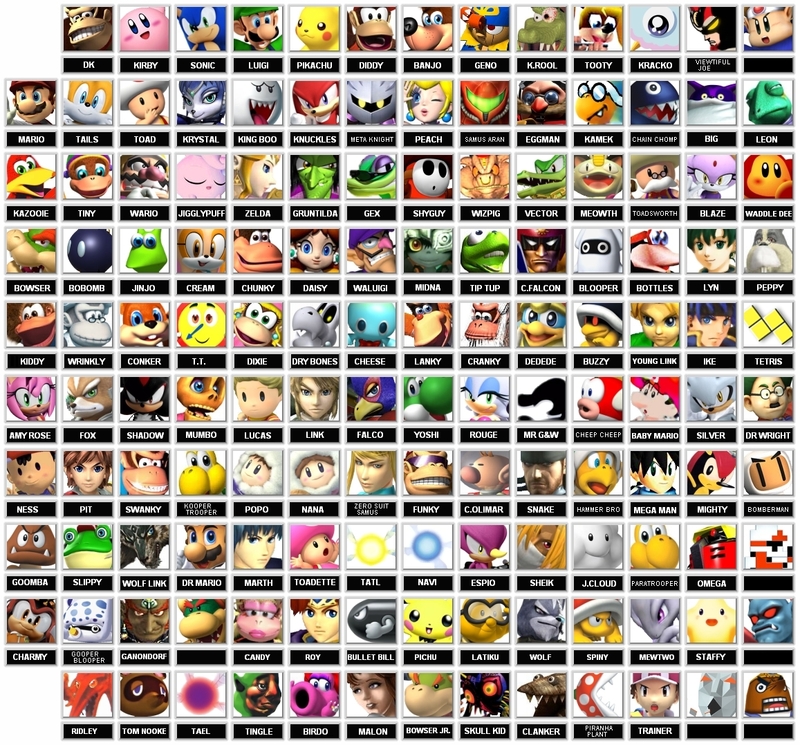 Fake Super Smash Bros Roster. 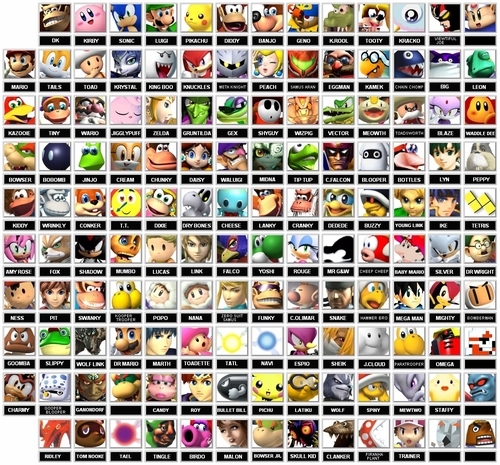 My Ideal Character Roster. HD Wallpaper and background images in the Super Smash Bros. Brawl club tagged: ssbb character roster super smash bros brawl. This Super Smash Bros. Brawl fan art might contain pishi, pishi mvinyo, pishi ya mvinyo, and kubadilika kioo dirisha. Skull kid would pwn everyone!!! I would so play as wolf Link, and waddle dee would pwn. Hahahaha, thanks for all the comments!! Was really simple to make, I used microsoft paint and just cut them out and stuck frames around each character!!!! Eeeeasy!! sonic characters tear down the house! ill b all the sonic and pokemon characters!! Why do some have no names and wat up with Kamek's face??? ?